UPDATE 12:50 P.M. SATURDAY: U2 has canceled its performance scheduled for Sunday night in Paris in addition to the Saturday night show originally planned to air on HBO. UPDATE 6:36 P.M. FRIDAY: HBO announced that U2 has canceled its planned Paris concert and that the special broadcast of it will not take place. 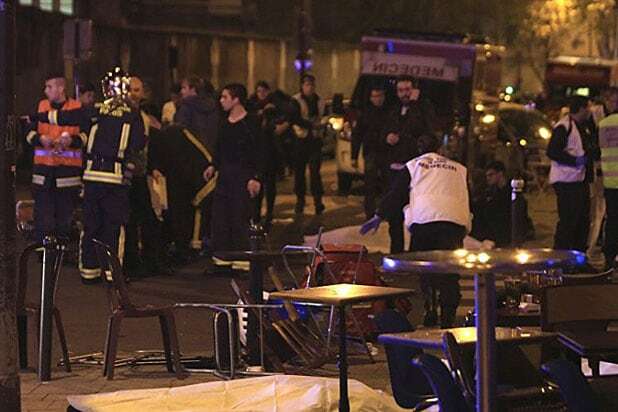 As a result of the ongoing state of emergency across France, the U2 Paris concert scheduled for 14th and 15th November will not be going ahead as planned. U2 and Live Nation, along with HBO who were due to live broadcast the Saturday concert, are fully resolved to go ahead with this show at an appropriate time. HBO is considering pulling all media and advertising for its concert special featuring the rock band U2’s performance in Paris amid terror attacks in the city, TheWrap has learned. The network has reached out to outlets that it had planned to advertise with, alerting them that media plans for the special, “U2: iNNOCENCE + eXPERIENCE Live in Paris,” may be withdrawn shortly. 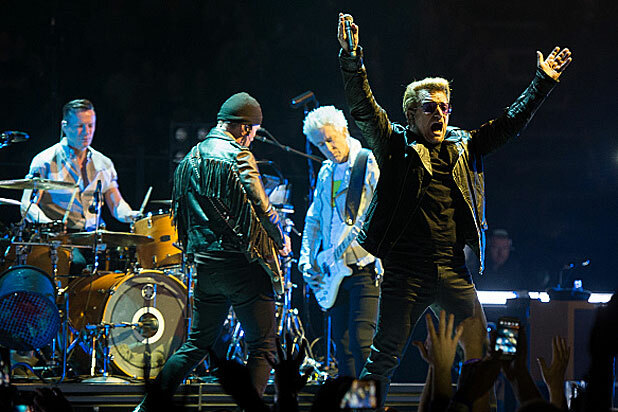 U2 is scheduled to play the AccorHotels Arena in Paris this weekend as part the tour, with Saturday’s concert planned to be the subject of a concert special to be broadcast on HBO that same day. The concert is set to be produced by Done + Dusted with executive producers Hamish Hamilton, Simon Pizey, Davis Guggenheim and Guy Oseary. Hamilton, who has worked with the band since 2001 on collaborations such as “Elevation: Live from Boston,” “U2 Go Home: Live from Slane Castle,” the “Beautiful Day” documentary, and “Vertigo in 2005: Live from Chicago,” is slated to direct. A representative for HBO did not have an immediate comment on whether the special would still be broadcast as planned.